The Federation of Master Builders’ (FMB) Master Builder Awards are the leading industry awards for small and medium-sized construction firms and the 2019 awards are now open for entries. The purpose of the Master Builder Awards is to celebrate the incredible achievements of construction SMEs across the UK. They showcase examples of high-quality craftsmanship, exceptional customer service and building excellence. The awards acknowledge the hard work and contribution that master builders make to the construction industry. At a glittering ceremony in London in September 2019, the overall winner of the 2019 Master Builder Awards will be crowned. Why enter the Master Builder Awards? The overall winner will drive away with a new Isuzu D-Max Utah Pick Up, worth more than £30,000. Mew Developments Ltd were the South West Regional Award winners in the Kitchen/ Bathroom Category in 2017. 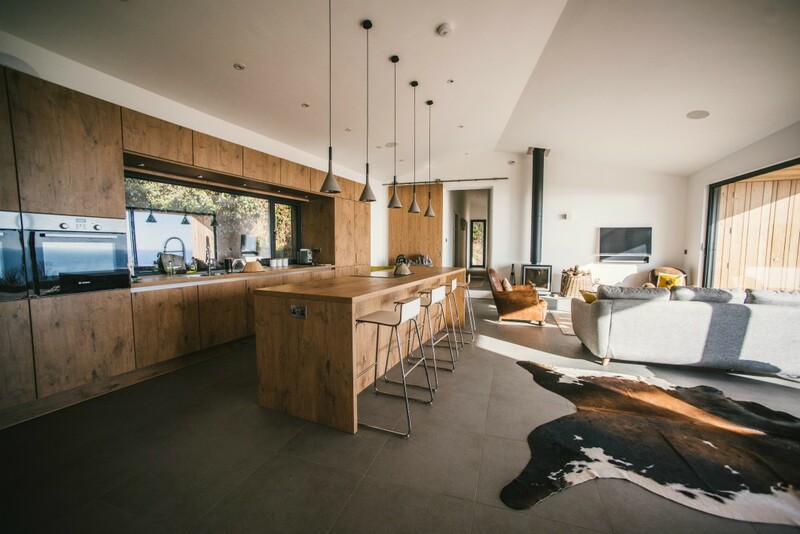 Mew Developments picked up the award for its work on a stunning kitchen they installed in a timber framed building on a cliff side location in Lyme Regis. The kitchen was designed to match the contemporary lurch clad building with simple and stylish finishings. Border Oak’s clever work on the construction of a brand new oak framed village hall in Oving, which is both environmentally and economically sustainable, won them two awards: the Energy Efficiency and Commercial categories. The village hall provides a flexible and attractive meeting space for the local community that sits well with its rural setting. True Build Trade Services Ltd were national award winners in the Small Renovation category. The company took the prize for a stunning extension on a traditional stone building dating back to the 1900s. The project started out as an extension and then rapidly evolved to include a number of major internal changes, including the addition of two new bathrooms. Alan Staley Building Contractors Ltd picked up a remarkable double win in 2017, securing the national prize for best Large Renovation Project and Heritage Project. The project involved the demolition of a 1960s wing at Dower House and construction of several large extensions and extensive landscaping. 2019 Master Builder Award Overall Winner. Judges’ Choice Award. Small Renovation Project Residential/domestic restoration, refurbishment or extension costing up to £50,000. Medium Renovation Project Residential/domestic restoration, refurbishment or extension costing over £50,000 but under £150,000. Projects that achieve a measurable reduction in carbon emissions and a low-carbon footprint. For builders demonstrating a strong commitment to building quality new homes. Kitchen Project A kitchen from a new build/renovation project. Bathroom Project A bathroom from a new build/renovation project. A pre-1919 building which has been renovated, sympathetic to the original style. Commercial Project New build or refurbishment of a commercial building. Public Sector/Local Authority A public sector or local authority project e.g. build projects used for health, leisure, sports, education or community build initiative. Recognises builders who have gone above and beyond to deliver exceptional service. Recognises an individual who has demonstrated exceptional practical skills and commitment in their chosen trade. Lifetime Achievement Award Recognises an individual who has contributed positively to the building industry, the FMB, and their community.